MANILA—The race for the second seed in the UAAP men's basketball semifinals heats up on Saturday as Ateneo and FEU battle separate foes in a crucial Saturday elimination round doubleheader at the Mall of Asia Arena Pasay on Saturday. 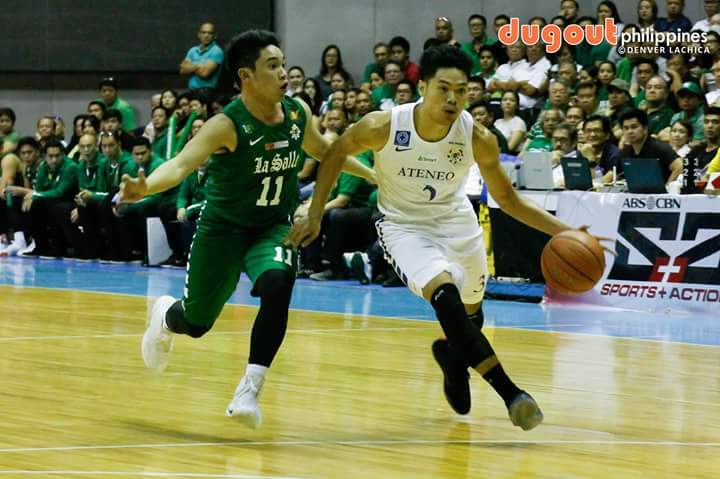 The Blue Eagles take on the UST Growling Tigers in the first game at 2 p.m., while the Tamaraws face the league-leading De La Salle Green Archers in the other match at 4 p.m.
Ateneo forced a tie for second with FEU after a 74-59 win in their matchup at the said venue on Wednesday. Both teams, however, will lock horns with opponents who have contrasting season trend. The Eagles are facing a struggling Tigers side, while the Tams are going up against the top-seeded Archers, who are reeling from their first loss of the season to the Eagles last week.